This year The Killarney will be bringing you a wine of the month we have enlisted one of Southern Vermont’s premier wine experts to help us bring something new and different to our patrons. All of our Special wines will be something new, different, excellent, and a little obscure. 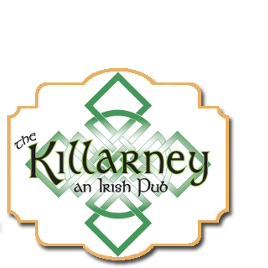 Each will be chosen with The Killarney menu in mind to both provide the flavor and perfect pairing for our delicious tastes. Come in and give your taste buds a treat. This lighter style Chardonnay opens with aromas of fresh spiced peaches and honeysuckle. Lively fruit flavors are accented by notes of lemon zest and creamy marshmallow ending with a juicy, crisp finish. Intended for immediate enjoyment, this Chardonnay captures the varietal intensity indicative of wines from Washington state. The 2008 vintage marks the twenty-second year of production of our Riverstone Chardonnay, from our vineyards in the Arroyo Seco region of Monterey County. Each year, starting in 1995, we have experimented with and have incorporated higher percentages of traditional Burgundian production techniques into Riverstone, until the desired complexity and end-results were achieved (reaching 60% in 2000). The result is a complex and nuanced Chardonnay with an abundance of Arroyo Seco fruit, with subtle barrel fermentation and malolactic character. The vines are grown primarily on Elder loam soils underlain by "riverstones" deposited over thousands of years from the Arroyo Seco River, allowing a four-foot rooting zone that keeps the vines’ vegetative growth and fruit in balance. Additionally, the cool climate and winds of the Salinas Valley extend the growing season and retain the natural grape acids and intense varietal character of the Chardonnay. This vibrant Sauvignon Blanc is bursting with a fruit-salad-bowl of flavours including ripe gooseberry, passionfruit, fresh citrus lime and exotic herbaceous aromas. The wine has an exciting palate with layers of juicy flavours, intensity and fullness, finishing with a refreshing crisp, clean and racy acidity. Enjoy this exuberant and delightful wine. From tight clusters with sweet copper-colored grapes, this Pinot Grigio is characterized by a distinctive balance, finesse and elegance. Color: Straw yellow. Bouquet: Pleasant, delicate and fruity. Flavor: Dry, elegant and balanced. "Fresh lemon-lime aromas along with grapefruit and a hint of vanilla. Crisp acids join green apple and grapefruit flavors. The finish is soft and sweet with a light minerallike dryness." San Angelo Pinot Grigio is an elegant wine of pale-straw color, with an intense, fruity aroma, followed by a clean, rich, refreshing taste. These characteristics distinguish the unique and aristocratic San Angelo Pinot Grigio from its northern counterparts.